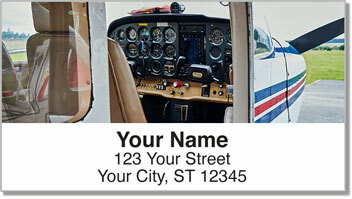 Flying a smaller aircraft is a completely unique experience - nothing like riding in a commercial airliner. You can fly closer to the ground, which lets you get a better look at the world below. It gives you a different perspective on nature, and a greater appreciation of creation. 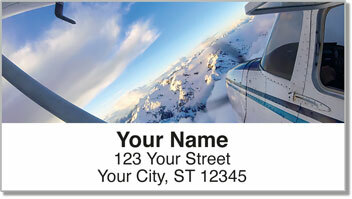 The planes illustrated on this unique return address label design make an excellent choice for pilots of all types and skill level. 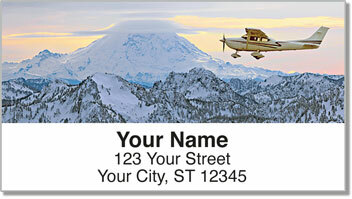 Stick them on your outgoing mail to save yourself a ton of time. Thanks to a self-adhesive backing, all you have to do is peel and place one on anything you put in the mailbox. 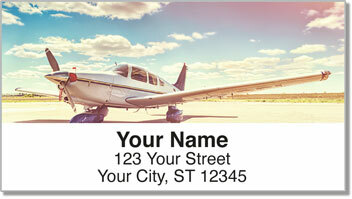 Get your own Small Plane Address Labels right now! Order them with a set of matching personal checks.